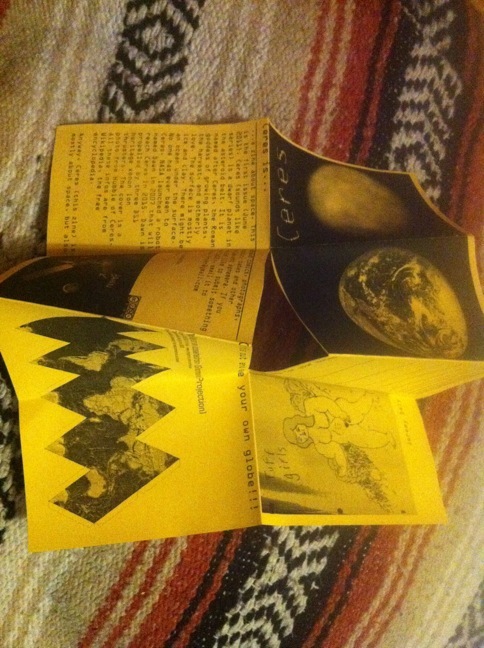 Ceres is a zine about space. 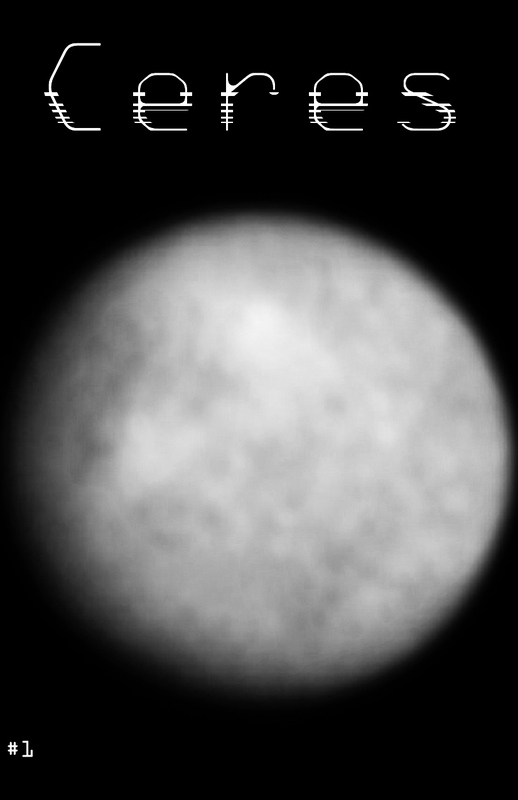 Ceres (sounds like series) is a dwarf planet in the asteroid belt. It is named after Ceres, the Roman goddess of growing plants, the harvest, and motherly love. The surface is mostly ice and clay, and there's maybe and ocean under the surface. No one has ever been to Ceres. NASA launched a robot named Dawn in 2007 that will reach Ceres in 2015. Dawn is propelled by three DS1 heritage xenon ion thrusters. 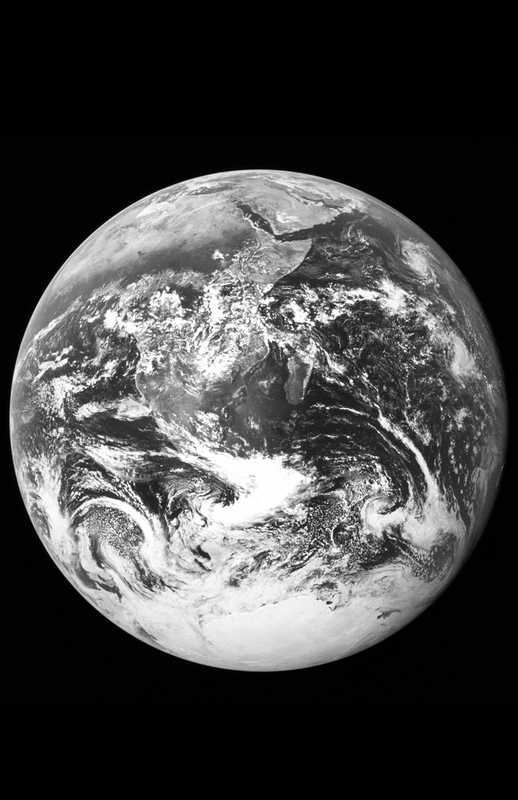 The cover is a photo from Hubble of Ceres. All these infos are from Wikipedia, the free encyclopedia. 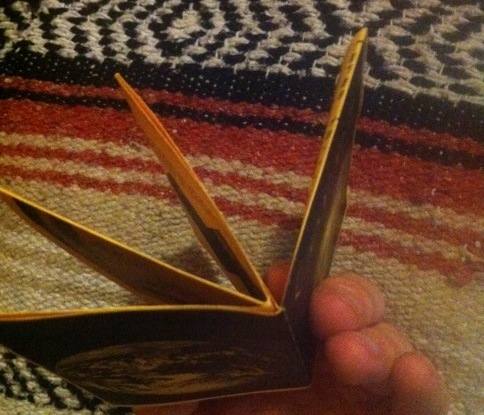 Anyway, Ceres (this zine) is mostly about space, but also about comics, photographs, music, babes and other relevant ephemera"
To construct the zine you'll need to cut a slit down the middle between the middle two cells. This and this image might help you. A fourth issue is forthcoming. If you would like to submit something for inclusion in Ceres please email to trav at tea fry dot me.